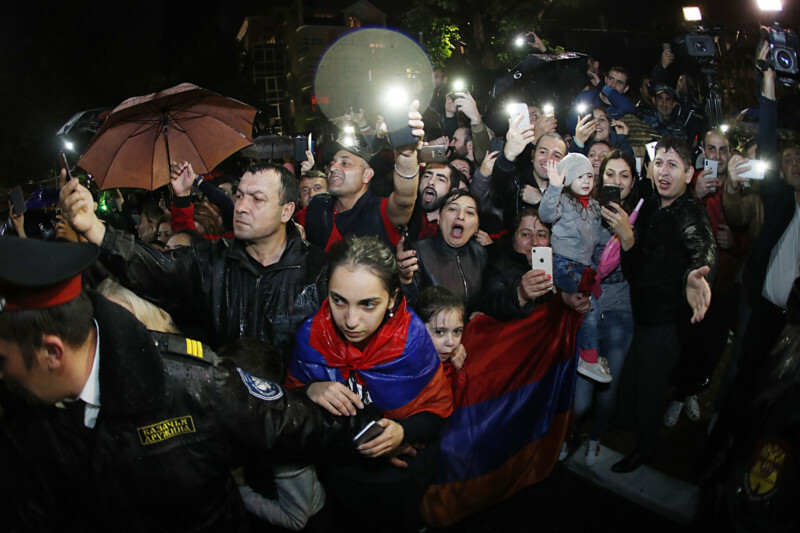 Prime Minister Nikol Pashinyan arrived in the Russian Federation on a working visit. From Sochi airport, the Prime Minister went to St. Sargis Church in Adler, near which he was greeted by Bishop Movses Movsisyan, Primate of the South Russia Diocese of the Armenian Apostolic Church, the spiritual fathers of the Church of St. Sargis, and numerous representatives of the Armenian community. 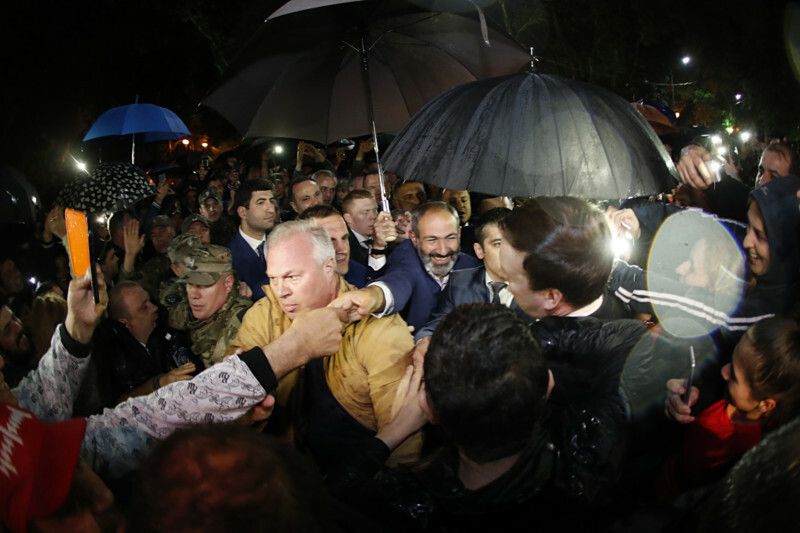 They warmly greeted Nikol Pashinyan and wished him every success in his capacity of RA Prime Minister. 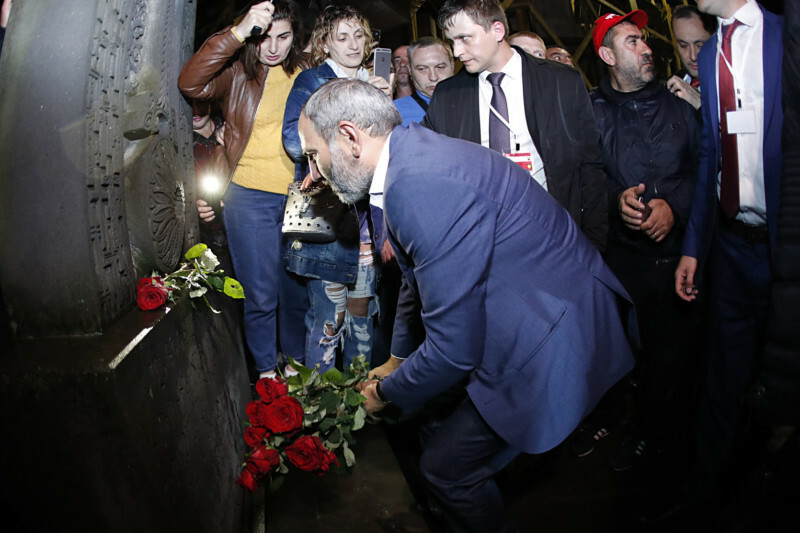 The Prime Minister lit a candle and laid flowers at the khachkar (cross-stone) installed in the courtyard of the church. 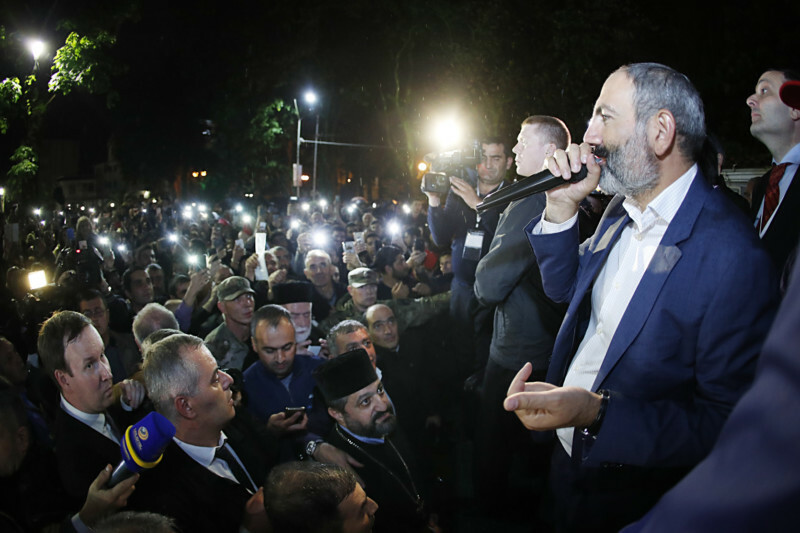 Addressing the representatives of the Armenian community, Nikol Pashinyan stated in part, “I greet you all in the city of Sochi of fraternal Russia and I want to say that I am proud of you. Throughout our political process, I have felt the breath, the support of each one of you, and this victory is the victory of each of you. Henceforth, the Armenian nation will be the winner; the Armenians will finally return to their homeland. I want to express my gratitude to the fraternal Russia for such favorable conditions offered to the Armenian people, but I also want to say that our goal is to trigger large repatriation; our goal is to centralize in the Republic of Armenia our nation’s human, financial, economic, spiritual and scientific potential, or its significant part, and ensure its safety and natural development. I urge Armenian and Russian entrepreneurs of Russia to go to Armenia and make investments, create jobs, since we have a new Armenia now, where each investment will be protected, and no investment will be threatened any longer. Today, the reputation of our country and the Armenian people is higher than ever, with all necessary opportunities created for us to live and be happy in our homeland. The most important thing I want to say is that you were actually here, but as a matter of fact, you were in Yerevan’s Republic Square. Many of you were there physically, because today I saw many people whom I last met in Republic Square in Yerevan. I want to say that I am happy to see your happy eyes. I am proud of seeing your proud eyes. I will serve each of you, and let no one doubt that our struggle will bring about new victories for Armenia, the Armenian people and Artsakh every day, every week, every year. So, our nation is united around the Republic of Armenia, the Armenian people are rallied around the homeland: they are firmly determined, full of energy to rebuild and strengthen Armenia and Artsakh.